To date, over 30,000m / 98425′ of Safescape Laddertube have been supplied to over 90 mines across the globe. Practical Innovation “Designed for Miners by Miners. Safescape is the designer, and sole manufacturer and supplier of Safescape Laddertube and Multi-Bund products. 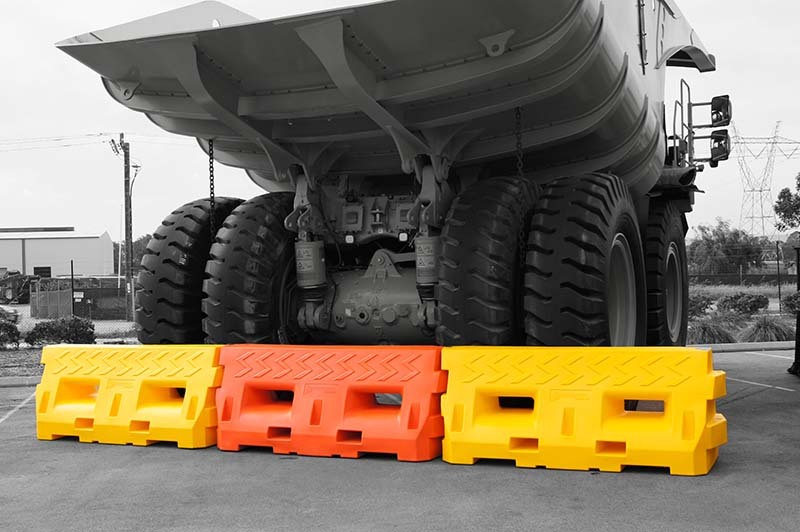 Safescape Multi-Bund has been designed as a modular light weight bunding product. Multi-Bund is available in a variety of colours and can be moulded using FRAS rated material. Developed to face heavy-duty challenges, Agrale Marruá is very resilient and ensures high productivity with excellent operational savings. Safescape Laddertube is totally new type of ladder. It has been designed specifically to suit the harsh conditions of underground mines to be used as a second means of egress in an emergency. Escapeway ladders are an essential part of every mine. They almost never get used, but when we do need to use them we need to know that they will be in a fit state. Safescape Multi-Bund & Solar Multi-Bund has been designed as a modular light weight bunding product. Multi-Bund is available in a variety of colours and can be moulded using FRAS rated material. 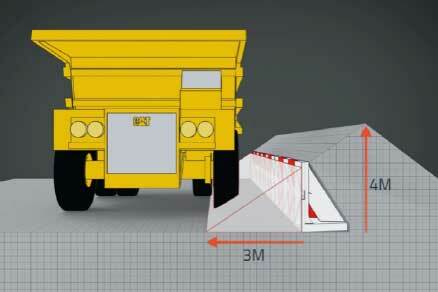 Edge Protector is a system for improved edge protection in open pit mines. The structure is designed to allow open pit haul roads to be narrower while retaining the same or better safety characteristics. Paste Hole Covers are an effective and safe method of covering drill holes that will need to be accessed at a later date. 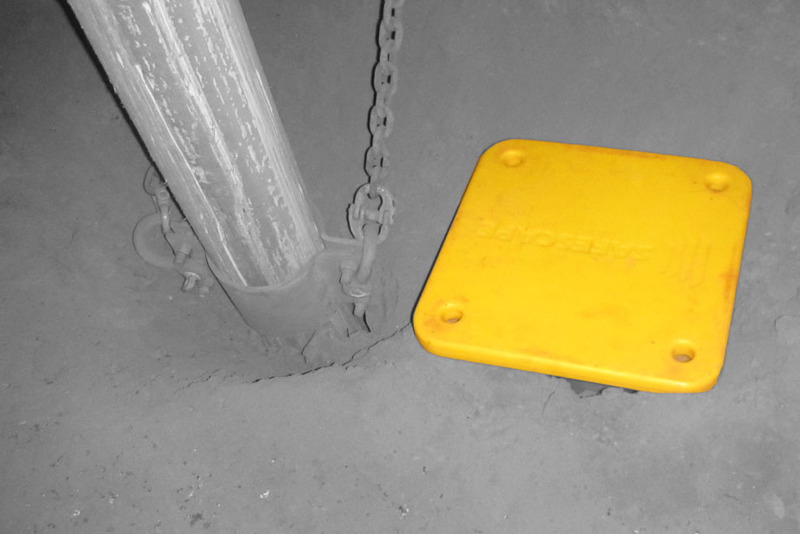 Paste Hole Covers ensure that workers or equipment do not fall into an exposed drill hole. Safescape management has an expectation that its employees demonstrate superior innovation, passion, productivity, cost awareness and safety. The Safescape team has been drawn from diverse professional backgrounds to create a resource that brings a broad range of experiences and knowledge to our growing business. Our employees work hard, respect each other, our suppliers and clients, and are loyal. In return we strive to ensure that they are rewarded and continue to grow and be challenged in their roles within the organisation. Each team member is provided with opportunities for professional growth, and every person is treated as an individual so we can understand their unique goals and ambitions. We all work as one and take great pride in our organisation. No one person could achieve Safescape’s goals, but we are successful as a collective and will continue to celebrate our achievements as we progress. Safescape’s 23-strong team is continually growing and represents a wealth of talent and experience. With qualified Mining Engineers and Certificate IV Trainers among our personnel, we are ideally positioned to meet the diverse needs of our clients as a collective and will continue to celebrate our achievements as we progress. The Safescape team is dedicated to providing exceptional service through the supply and installation of Safescape Laddertube to the underground mining industry.